KKHI went on the air March 17, 1949 as KSMO. At that time it was 1KW Non-D Day and two towers DA-N. The station was owned by the Amphlett Publishing Company who also owned the San Mateo Times newspaper. The transmitter site was built on four acres along Hwy 101 in Belmont on land that was basically tidal marsh. The original studios were located on B Street in San Mateo. The call letters were changed to KEAR in 1952 when the station was acquired by Stephen Cisler, who owned stations in Louisville, Kentucky. 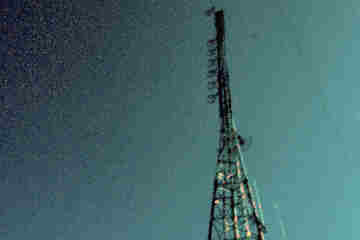 In 1954, the station increased its power from 1KW to 10KW, added a third tower and a daytime pattern. The 10KW transmitter was a RCA 10DX, first made in 1937 and acquired second hand from WNEW. The treansmitter had been in a flood at the WNEW building and reportedly had high water marks in it when it was first acquired. When I arrived on the scene it was doing duty as a back up to a Harris MW10. Cisler also purchased the dark KGSF and put it on as KXKX on 97.3MHz (now KLLC-FM, Alice@97.3) and simulcast with KEAR. In 1956 the AM calls were changed to KOBY, the format was Top 40 and was the first of its kind in the bay area. The AM was now owned by Dave Segal with the FM still being owned by Cisler. In 1958, Cisler sold KEAR to Family Stations. 1959 saw KOBY apply for a FM license on 95.7. The station was granted 10KW ERP and used a 3KW GE transmitter, still there when I got there in 1981, and a 4 bay antenna. In 1960, the station was sold yet again to Sherwood Gordon, who then changed the call to KQBY. KQBY failed to make it as a Beautiful Music station and the station was then sold to Frank Atlass. Atlass changed the call letters to KKHI, which were to emphasize the stations location at the high end of the AM dial. The stations were simulcasting an MOR format until 1964 when the FCC ruled that you could not simulcast. The FM was spun off with an automated elevator music format. Around 1965 the AM format was changed to classical music with Bill Agee as the program Director. Around the same time Atlass was able to obtain a waiver from the FCC to start simulcasting but that did not help his fortunes and the stations were sold again to Buckley-Jaeger broadcasting. 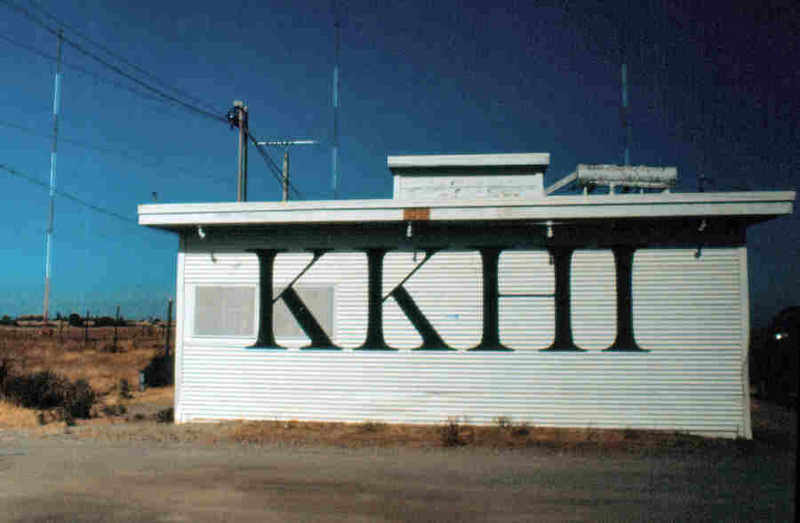 At this time KKHI-FM was actually located on Mt. Beacon in Sausalito. KDFC-FM was also on this mountain and Ed Davis, who owned both KDFC and the building, decided he did not want his competition in the same building so, KKHI-FM moved to San Bruno Mountain in 1966 with a reduction in power to 5.6KW. Eventually, this was raised to 6.9KW. 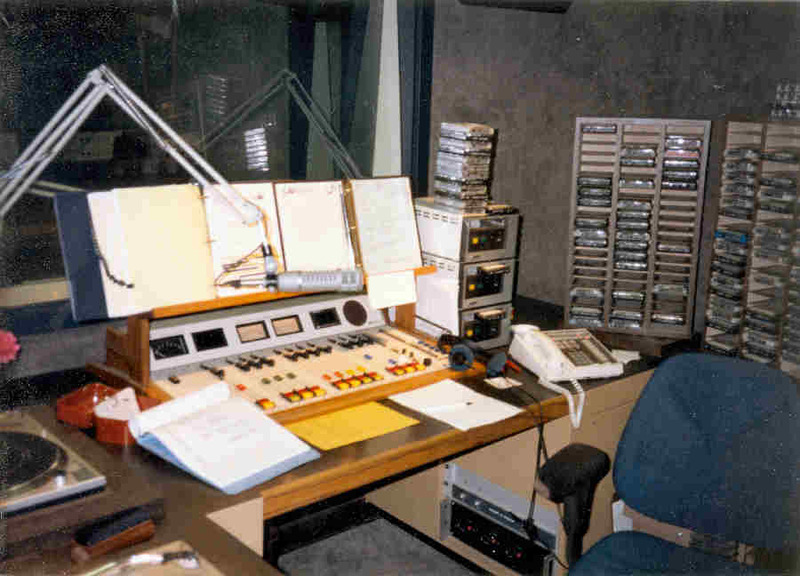 The classical format was fairly succesful and lasted until May 1994, when the stations were sold to Westinghouse Broadcasting. Westinghouse changed the format to a news-talk station but never really made a dent in the ratings against power houses like KCBS and KGO. In 1997 Westinghouse sold the FM station to Bonneville. In 1997, Entercom aquired the FM signal and it went thru numerous formats and is now known as 95.7, The Game, with the calls KGMZ. Its format is currently all sports. The AM was retained by Westinghouse. Eventually through mergers, Westinghouse became CBS Radio and the 1550 signal is still on the air as KZDG air a east indian format. My time with KKHI ran from June 1981 to November 1988. Here are some pictures of the station.